Tuscan bedroom décor, the Italian world of rustic elegance. Its wooden oak features and classic earthy tones immediately win anyone over, transporting them to a fantasy villa with ease once they step foot into space. Changing up décor can be intimidating. Bringing a taste of Tuscan into your bedroom can be even more overwhelming! Trust me, I understand. Pinterest is plastered with ideas, from giant mahogany benches with the cool neutral browns to extravagant bedspreads in shiny sheening red and gold. 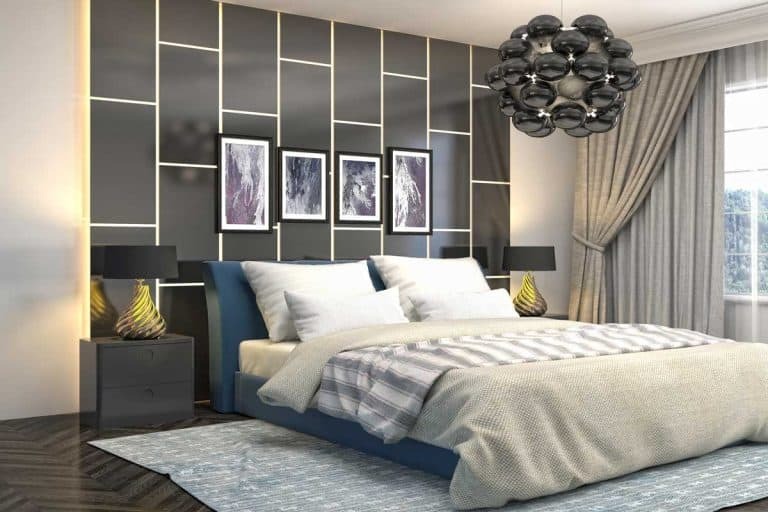 It’s easy to misunderstand the concept of Tuscan interior design and even hesitate when it comes to adding some elements to your bedroom. It may look like you need a total overhaul of your bedroom to get it even close to Tuscan. Totally not true. 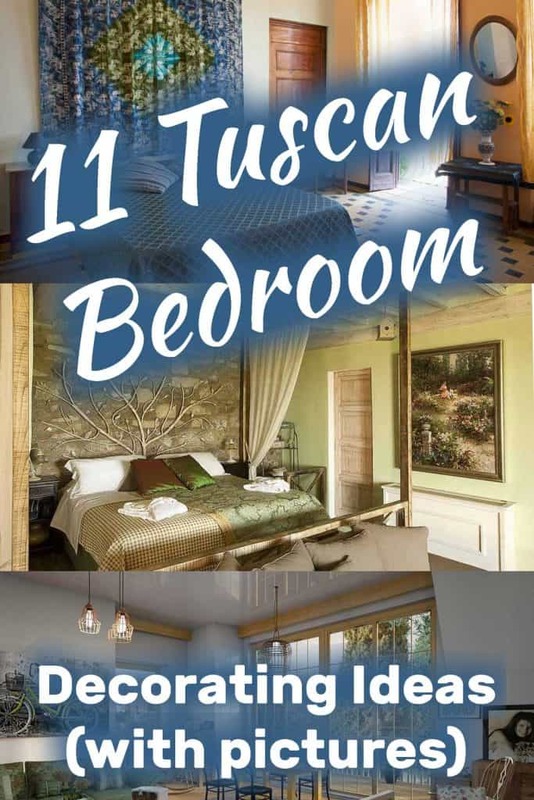 So, I’ve put together my own little Tuscan inspiration board with some ideas to help you to get inspired and easily started on bringing a little spice of Tuscan into your bedroom. A necessary feature of any bedroom and one I absolutely love: Throw in an antique vintage washed mirror! Bringing in a mirror like this one not only opens the space but invites the feeling of a more relaxed yet cultivated environment and easily ties in any more décor moves you’re thinking of making with this style. Shopping at a local thrift store or even a flea market could win you a gorgeous elaborate statement mirror to own that Tuscan feel! Another great option for decking up your bedroom with that Tuscan vibe is wrought iron features, such as wall-mounted candle holders. These are a great option to add a pop of design onto your wall and creates a warm ambiance when lit. 3. The Walls Have It! Possibly one of my favorite options is the stucco and plaster walls. This option can bring a delicate light to any room, opening the space and making it feel closer to the outdoors. Stucco walls can be applied yourself or you can apply a paint/wallpaper style that mimics the look. In this picture, you can see the rustic brick element combined with the wooden beams that are really a defining feature of any bedroom. The warmth of the walls in this picture strongly emanates traditional Tuscan design and would bring a sense of relaxation into a bedroom. In this picture, you can see that the walls have been painted over in a sort of dusky brown hue with an orange tint that makes it seem so much more welcoming. The stucco in this design is really tasteful and it balances out the choice of mosaic and brick. It’s more approachable design work. If stucco on all of your walls isn’t an option perhaps just one is a good choice? Easing into the design and chopping away at little by little can be done just as well and tastefully. See how this rug immediately brings in the flare that a Tuscan style can be known for? I love the way it creates this cozy environment the red popping amidst the browns and beige neutral tones. Rugs are not only wonderful in a bedroom for the cozy element, but they are also great for adding some color and a Mediterranean feel. We have absolutely become obsessed with canopy beds… and this picture captures every single reason that we love them. This first picture is one of my favorites. The way the room is open and airy yet comforting with the canopy bed. The exposed beam also gets me. The wooden posts of the canopy bed are very Tuscan with their deep rich wooden color. Even the mirror in the background screams Tuscany! As I talked about previously, wrought iron is a great and easy contribution for Tuscan design. I love how this example combines two possibilities, the extravagance of a canopy and the distinct and elegant nature of wrought iron. 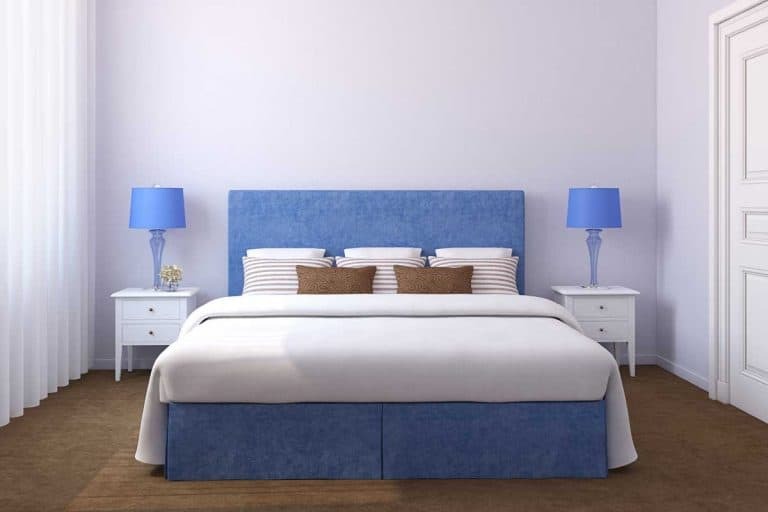 Canopies weather draped in fabric or left to stand alone can be an incredibly artistic element to a bedroom and an easy one to apply. This really is Tuscan design at its simplest with more of a minimalistic modern flair. From the floor to the canopy and the bright element of the fabric draping over it. Plus that beautiful whitewashed claylike looking wall. The wooden stand near the head of the bed is rustic but earth, which we believe is a great balance within this design style. Again, it’s a simpler side to Tuscan design but it’s a beautiful way to try your hand at it if your looking for a more minimalistic approach. You’ve got to love the Mediterranean flare with these stone walls! Although this is a huge undertaking, it would visually pay off in the long run. I like the orange hue to most of the fabric, it brings warm light into the room and again is very warm toned and Tuscan conscious. Switching up the bedding to a more earthy tone is a good way to make it warmer. Wood is another big element in the Tuscan design. Maybe adding a wooden armchair in your space with a leather upholstery would create the greatest opportunity for a little warm reading nook! Mosaic Tiles are a great way to bring that flare to your home. The design in this picture is absolutely exquisite. You can use tiles in a variety of ways! Framing the bed in them or even stacking them up into a square where you could put a nightstand. These, in particular, make me think of the ocean and bring that sprig of nature into a home. This is one of my favorite ways to use tiles. Place them alongside the bed. Maybe even make them into a headboard style. Grab some and get to work sticking those babies on. It brings the Tuscan style away from just the earthy tones with a tasteful amount of color and a true coastal feel. Last but not least these gorgeous hexagon tiles are an absolute favorite of mine. 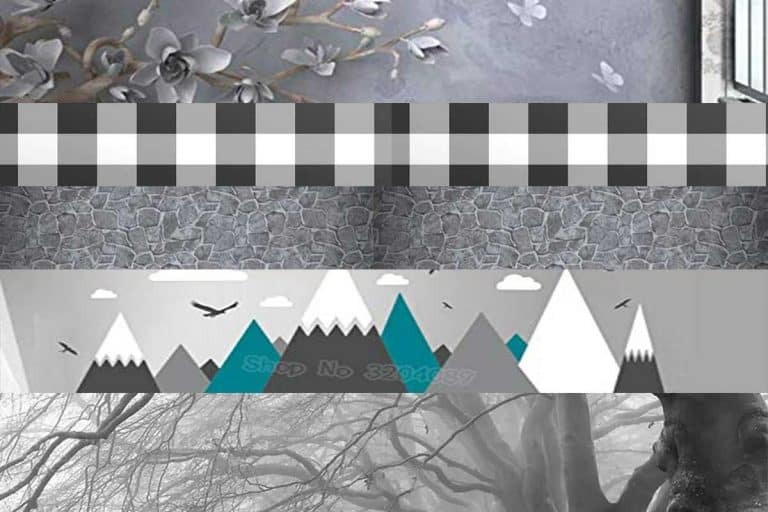 They have that neutral earth tone, but the colors are varied enough to add an eye-catching design to any floor or wall space. These are sure to bring that “stucco terracotta feel” without a ton of hassle. This is a beautiful picture of some Tuscan wall art. It can really transport you to the rolling fields and quintessential villas that Tuscany is known for! Hanging a print or even a watercolor canvas on the wall is a great way to tie in the culture and emulate the beauty of the landscape. Last but certainly not least is this gorgeous idea of placing pottery on the wall. I love this element because it really does bring a pop of color into any environment and it is so easy to cultivate a quick collection to make a space more rustic with that Tuscan vibe. To recap and wrap up this intro into the world of all things Tuscan. Try antiques, leaning towards wrought iron and gold-hued mirrors which can help add interest to the walls. Change up your walls. Maybe stucco it up or try a new shade of paint. Rugs, rugs, rugs. They brighten a room, they make it more cozy and they are definitely Tuscan. Canopy beds are the bomb. A new draped look will add an addition of elegance to your space. 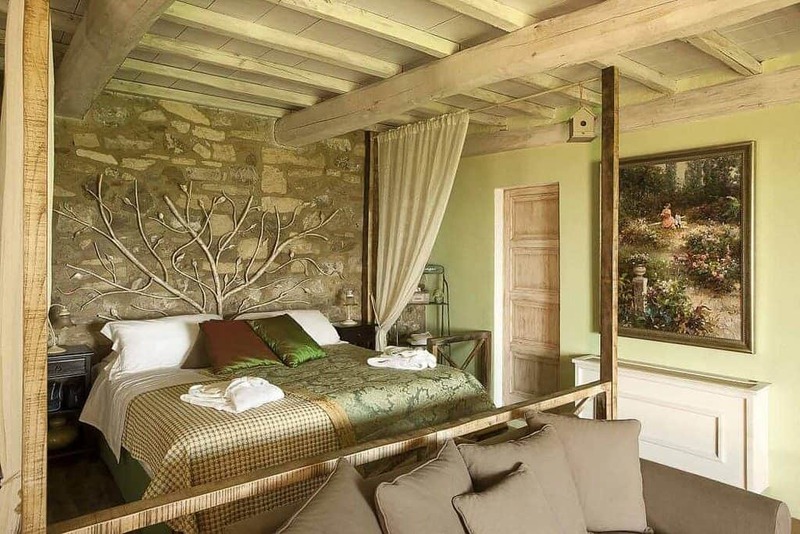 Earthy styles are absolutely essential to a perfectly Tuscan themed bedroom. Tiles are a very artistic way to ease into the Tuscan style and are easy enough to incorporate into your room. Accents. The small things count so much when it comes to interior design! Picking up a piece that has a pop of color will add a nice bright element to your room.